To show action (movement of an actor or an object). To reveal character or location. To show character’s emotion and thoughts. When we are looking through the character’s POV. Other reason might be linking two (or more) shot sizes together, but this to me is more or less a resulting side effect, rather than a motivation. Sometimes camera moves just for the sake of the movement, because it looks cool. But again, this is not a good enough motivation and usually bothers me. The most effective and most cinematic movements are when you combine several reasons or motivations for camera movement together, like in the movement in no. 6 in this beautiful analysis, pure cinema! 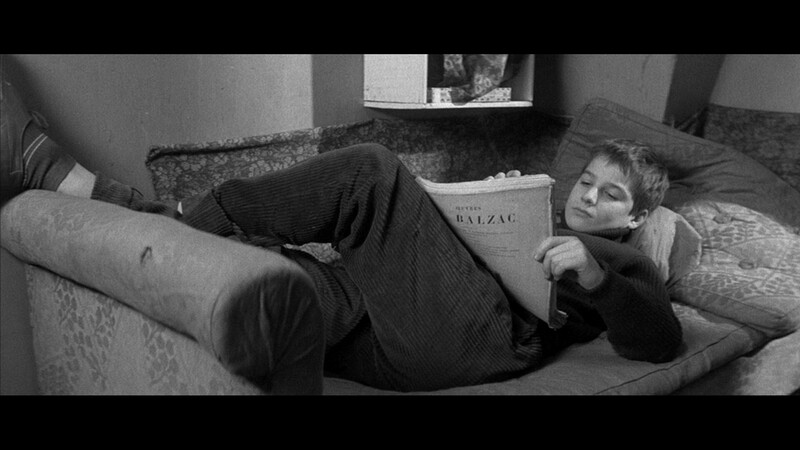 I have compiled virtually every camera movement in Francois Truffaut’s The 400 Blows. Camera pans, and the like I did not include (I’m lying, there’s a few there, lol) because the main concern of the Movements series is exactly that – camera movements – which include any kind of physical movement of the camera from point A to point B, such as a tracking shot or a dolly – mostly the dolly. The point is to get as many examples of camera movements in various films to get a better understanding of how a camera can be used and why.